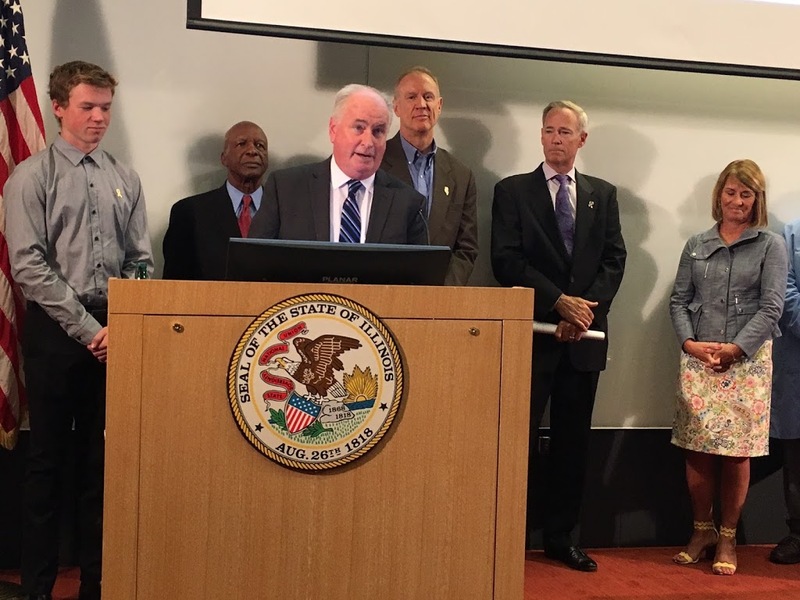 CHICAGO – State Representative Dan Brady on Tuesday joined a bipartisan group of lawmakers as Governor Rauner signed legislation into law at the University of Chicago Hospital that will help create more life-saving organ and tissue donation opportunities in Illinois. Representative Brady (R-Normal) served as Chief Co-Sponsor of House Bill 1805 that permits 16 and 17 year-olds to join Illinois’ First Person Consent Organ/Tissue Donor Registry when they receive their driver’s license or state ID card. “This legislation will give new drivers a voice to express their wishes regarding organ and tissue donations, providing guidance to their parents who will continue to have the final decision until they are 18 years of age,” Representative Brady said.